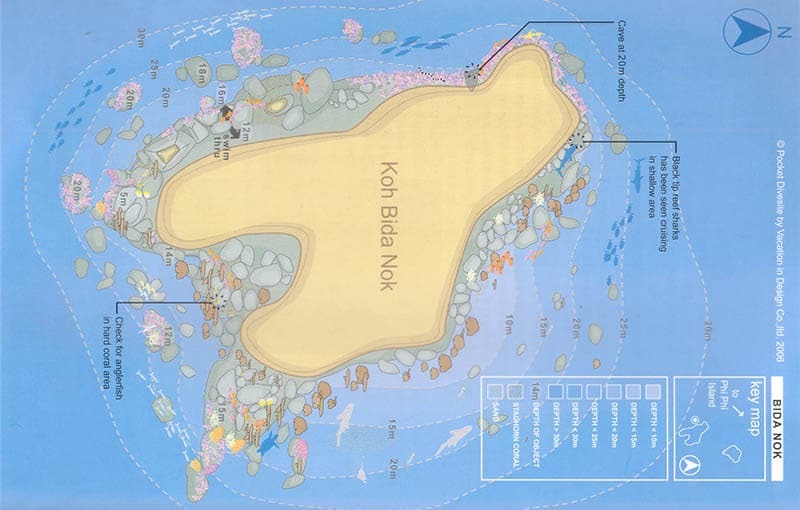 Koh Bida Nok is one of the two small limestone islands located at the southern end of Phi Phi Archipelago, and probably our favorite Phi Phi Islands dive site. 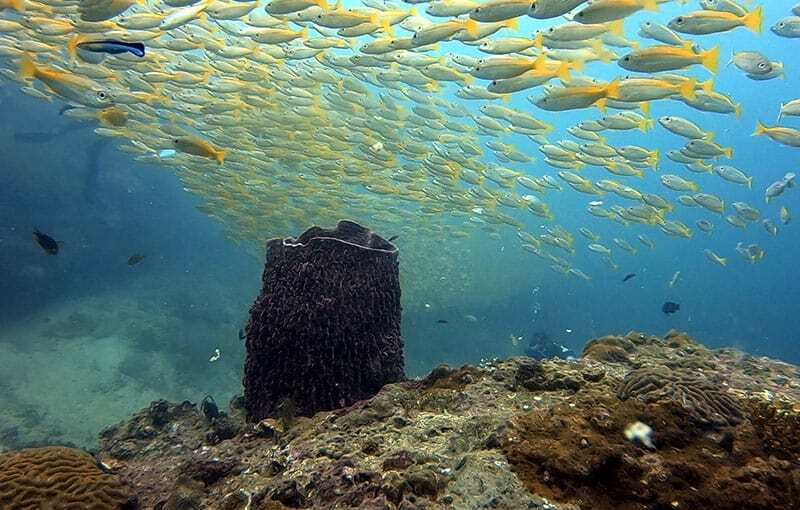 The underwater topography of Koh Bida Nok is very diverse, making it a wonderful dive site where it’s actually possible to do more than one dive without losing excitement. 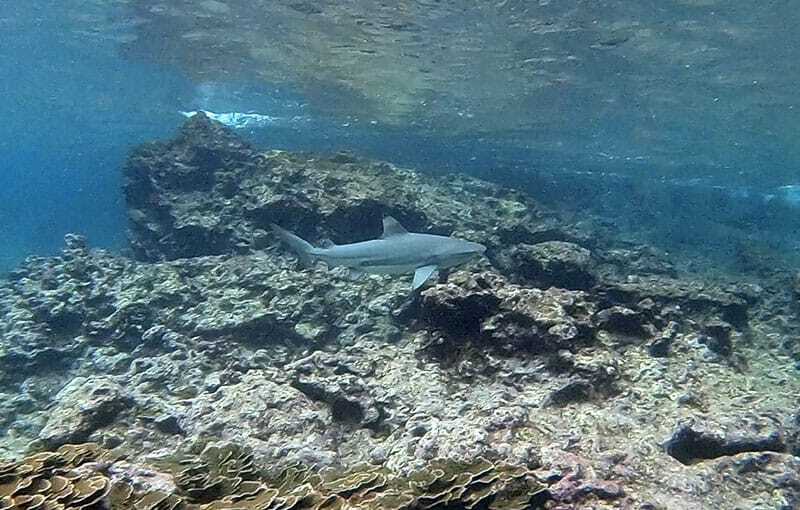 Usually, we start the dive inside of the small bay at the southern side of the island and spend the first 10 minutes or so swimming around the bay in very shallow water, as here it’s almost guaranteed to spot the resident Blacktip Reef Sharks. 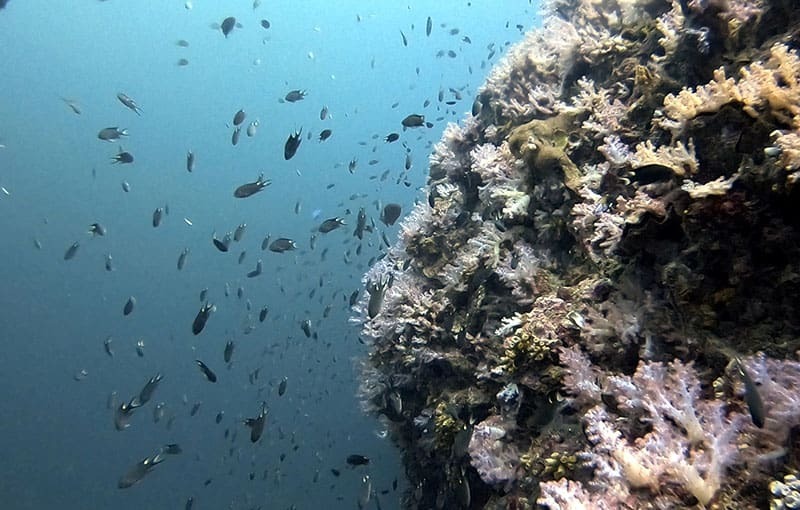 We then proceed along the beautiful western side, along the reef that slopes down from the surface to over 20 meters of depth. 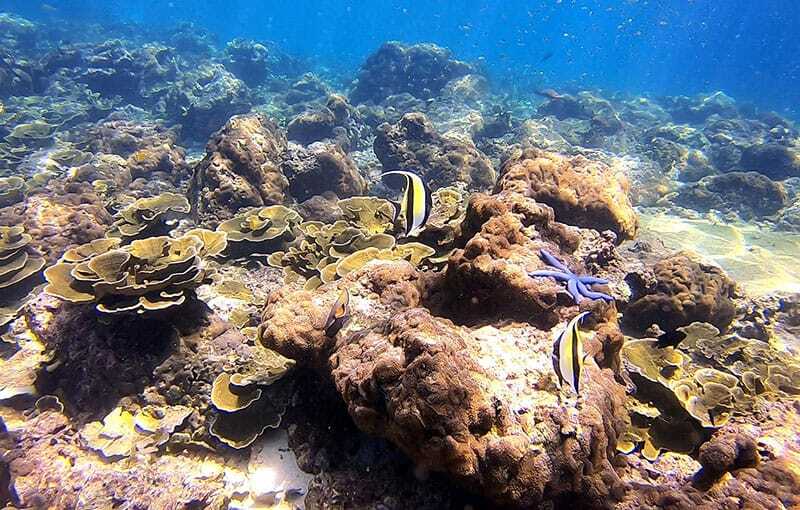 This part of Koh Bida Nok’s reef is in pristine conditions, with a large number of huge barrel sponges and gorgonians sea fans, and countless species of both hard and soft corals. 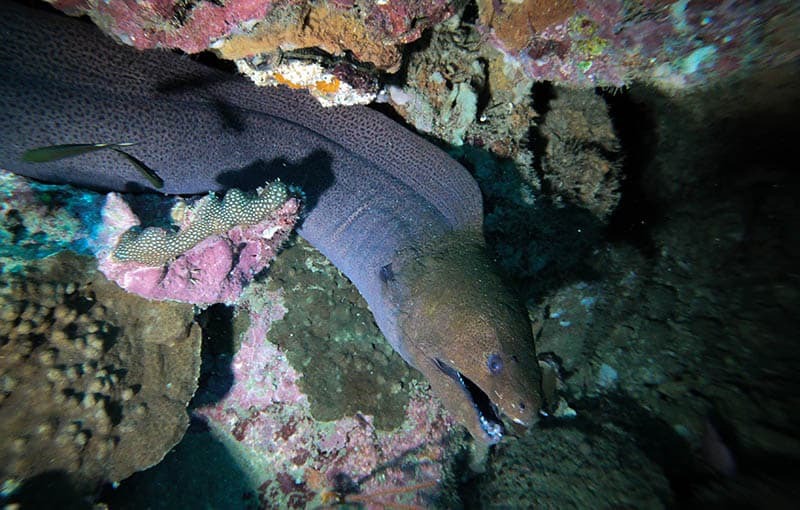 The marine life is abundant, different species of moray eels can be found in almost every crack and crevice as well as other macro life like shrimps and nudibranchs. 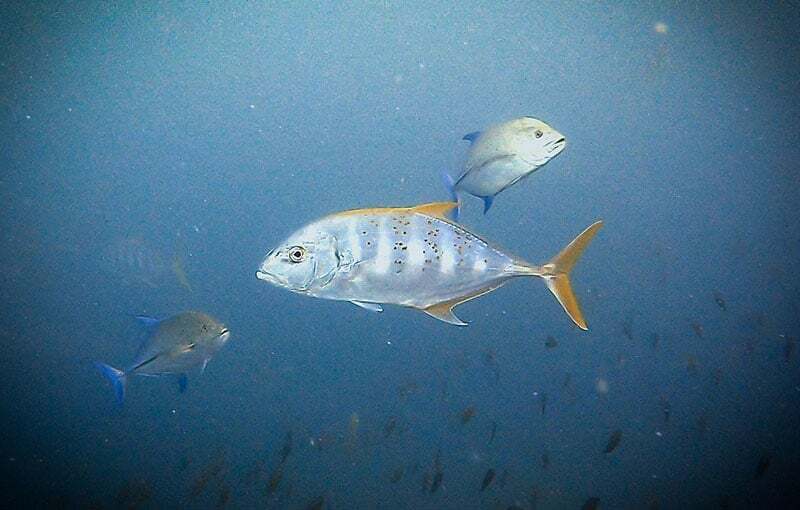 Looking towards the blue is often possible to spot pelagics like bluefin and yellowfin trevally as well as schools of big eye barracudas. 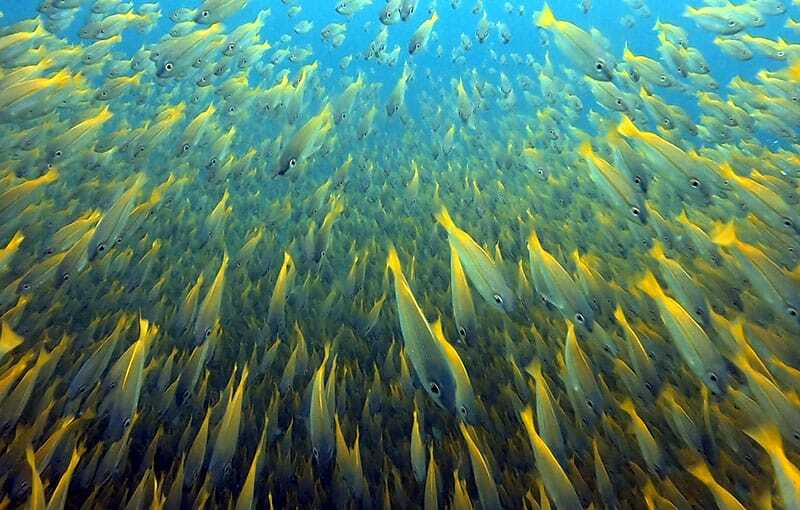 But the highlight is definitely the huge school of resident yellow snappers that goes by the hundreds of thousands of individuals. 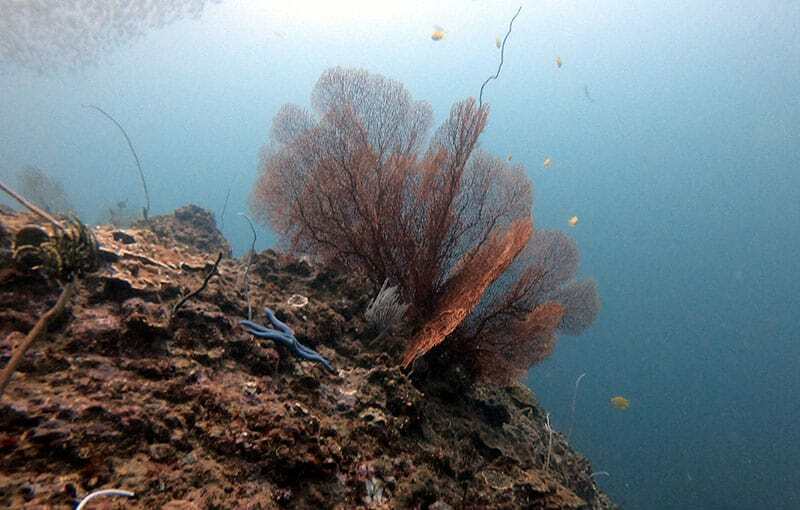 When proceeding north along the west side of Koh Bida Nok, at some point the sloping reef slowly transforms into a sheer wall covered by small soft corals that reaches a depth of over 30 meters.